GO FOR THE GOLD SALE! Sign Up For Future Promotional Discounts and Specials! Fire pit glass is made using tempered glass. Unlike competitors that tumble their glass we have always used a different process. Tumbling glass results in a very scratched surface which greatly reduces the reflective qualities of the glass. Our handcrafting process ensures a much higher quality finish and flawless reflective fire pit glass crystal surfaces. Does this really make a difference or is this just a sales pitch? Take a pair of sunglasses for example: once your lenses get scratched they are obviously flawed, the same rule applies to fire pit glass that has been tumbled which leaves heavy scratches on the mirrored reflective surfaces as a result of the tumbling process. Ultimately tumbling glass will cloud the surface of glass. Our fire pit glass is hand crafted which preserves the reflective quality and surface of the glass resulting in a much higher shine, sparkle and overall reflection. 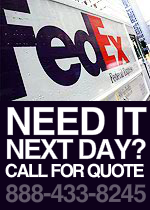 * Flat rate shipping applies to the continental United States. Additional shipping charges apply if shipping to Hawaii, Alaska and outside the United States. To purchase any of our Diamond Fire Pit Glass products we accept all of the following forms of payment: Visa, Master Card, American Express and Discover credit cards, checks, money orders and PayPal payments. We use PayPal and Google Checkout for processing of all credit card orders online. PayPal is secure, accepts all forms of payment (credit cards, echecks or bank account transfers) and requires no account to use. All In stock items ship within 1 business day from when received. Once shipped expect to see you order within 3-5 business days or less- You may track your order at any time by using our LivePerson feature on our website or by calling our shipping department toll free at 1-888-434-7345. © 2004- 2019 Diamond Fire Pit Glass . All Rights Reserved. 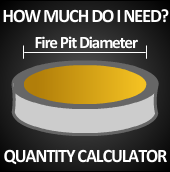 Diamond Fire Pit Glass is an online store selling Fire Pit Glass, Premixed Firepit Glass, 100lb Super Sacks of Discount Fire Pit Glass, Do It Yourself Kits, Custom Gas Pipes, Stainless Steel Fire Rings, High Heat Paint Kits, Diamond Fire Pit ™ Custom Granite Fire Pit Tables. We have over 60 color choices of Fire Pit Glass Crystals to choose from. Add fire pit glass to your fireplace or fire pit this season for extra warmth and dazzling color!